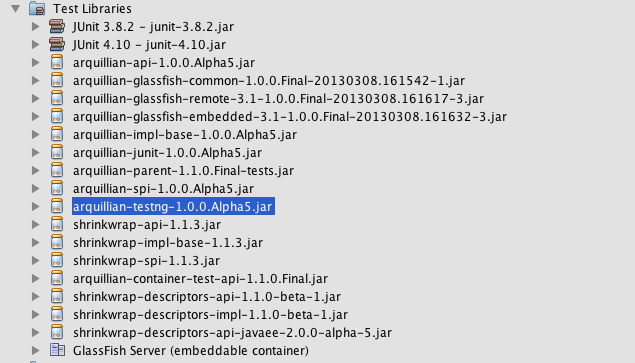 I'm working on adding Arquillian tests to an existing project and am having trouble getting the tests to run. I have a couple of questions. Big thanks to anyone who can help out! 4) Here's the error that I'm getting. 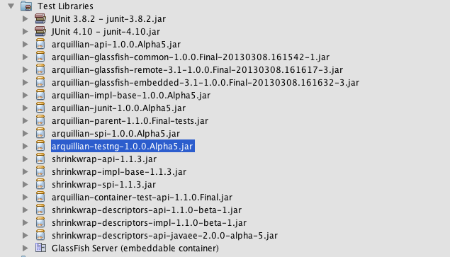 I think that the container is not setup properly, but I'm not sure. 5) FYI, here's the test class implementation.